Pioneers in the industry, we offer galvanized steel exhaust fans, air circulating fans, ventilation basket fans and poultry fan from India. 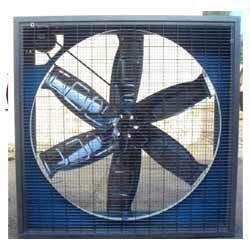 We offer our customers with the finest quality Galvanized Steel Exhaust Fans. These range of the products are manufactured using optimum grade raw materials and galvanized steel sheet sourced from the most trustworthy vendors of the market. Our quality experts stringently check each and every product, before they are dispatched in the market for our clients. This range of the products is greatly appreciated for their highest strength stability and strong resistance to corrosion. Impeller Size 5" to 12"
We have carved a niche in the domain of manufacturing and wholesaling an unparalleled array of Air Circulating Fans. The offered fans are widely admired across the nation for their longer service life, perfect design and resistance to corrosion. 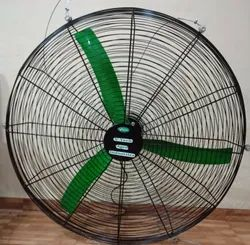 To ensure that our offered fans have above-named features, we manufacture these using high-grade raw material and base these on advanced technology. We are offering quality assured Ventilation Basket Fans which is fabricated with ultra grade raw material mustered from authentic vendors. It is manufactured in accordance with the international quality standards under the supervision of our diligent professionals. 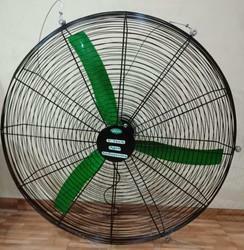 Furthermore, we are offering this Ventilation Basket Fans in variegated sizes and shapes to ensure utmost client satisfaction and meet their every single expectation. Owing to its convenient installation, high operational accuracy, and flawless long lasting performance, it is highly coveted in the market. 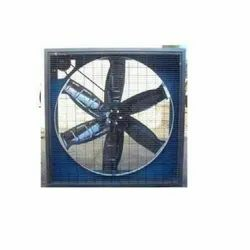 We are offering quality assured Poultry Fan. To ensure its salient performance and quality as per the international standards, we garnered the raw material from authentic and well-established vendors of the market. In order to gain utmost client satisfaction, this product is properly checked by our diligent professionals before finally delivering to the clients. Furthermore, it is highly appreciated by the clients owing to its high stability, high strength and greater resistance to corrosion. Looking for Poultry Fans ?